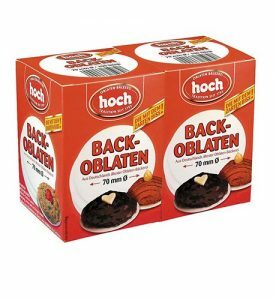 An indispensable basis for traditional German home-baked biscuits and cakes, especially Christmas treats, baking wafers are an essential ingredient in anyone’s cupboards. 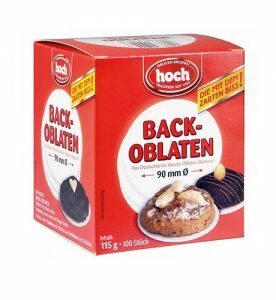 Our round HOCH baking wafers come in packs of 100. 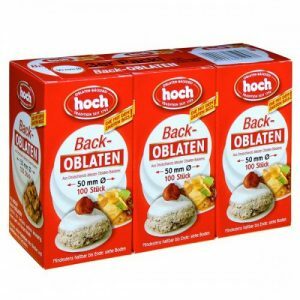 These wheat flour classics are available in diameters from 40 mm to 90 mm. 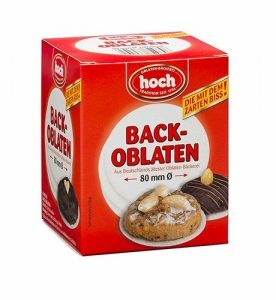 The round HOCH Demeter biodynamic wafers, perfect for organic baking, come in a 44 mm diameter and are also available in packs of 100. 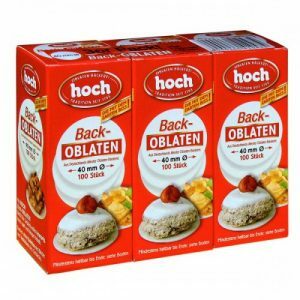 There is plenty of baking fun to be had with the HOCH 122 x 202 mm rectangular baking wafers, No. 10a, available in packs of 10. 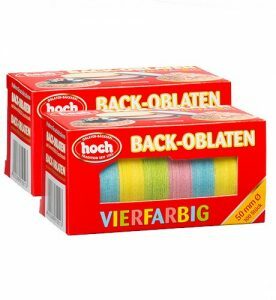 Variety is the spice of life – so the HOCH speciality baking wafers come in a choice of flavours and colours. 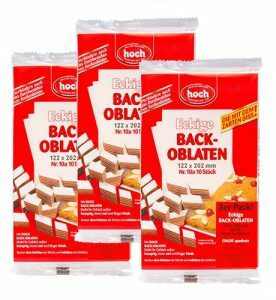 We offer coconut and gingerbread (lebkuchen) flavours and a cheerful pack of 4 assorted colours.